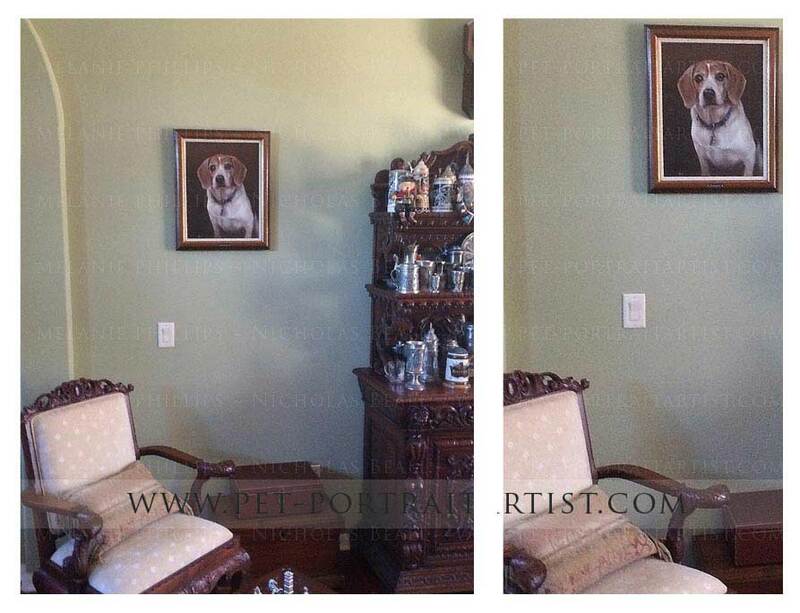 Dwayne and Jo Floyd emailed us in 2013 and asked if we would paint their stunning dog called Christopher. Sadly Christopher is no longer with us, so this painting will serve as a wonderful reminder for all the family. 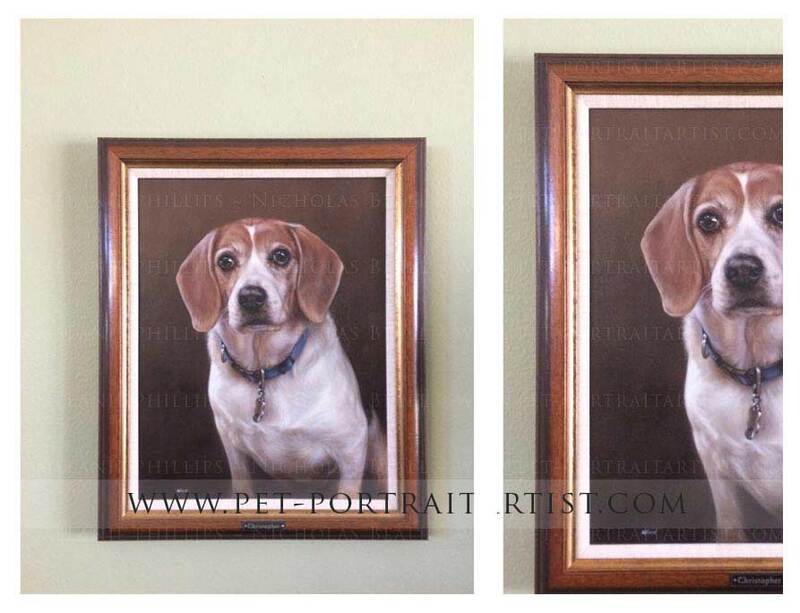 The portrait was painted in oils and was and framed by our local framer Jane. When the portrait arrived Dwayne and Jo very kindly sent us some wonderful photos of he portrait in situ which I have added below along with some lovely emails that Dwayne and Jo sent us. We thoroughly enjoyed working with bothDwayne and Jo and hope that they enjoy their portrait for many years to come. Hello Melanie & Nicholas, The painting arrived today and we are speechless. We knew it would be of high quality but to see the painting of our Christopher in person was amazing and very emotional. My wife actually cried upon seeing it. We absolutely love everything about it. Everything about this experience has been perfect and the packaging of the painting was very professional, We thank you both very much and We will send pictures very soon.